Introducing the newest way to jump-start STEAM learning in your middle school classroom and help every learner build confidence. LEGO® Education SPIKE™ Prime brings together LEGO bricks, a multi-port HUB, Scratch programming, and easy entry STEAM lessons to help pupils of all learning levels build confidence and critical thinking skills. LEGO Education SPIKE Prime helps students learn to think critically, analyze data, and solve real-world problems, regardless of their learning level. See how it aligns to curriculum standards. Enjoy easy entry lessons and intuitive, seamless classroom integration. Learn how to help pupils of all levels build the confidence they need to succeed. See our Confidence Building Classroom Activities for various grade levels. A recent global confidence poll reveals a gap in STEAM learning, and finds that hands-on learning is critical to boosting confidence. It’s never too early to help pupils develop STEAM skills. LEGO® Education offers a continuum of hands-on STEAM solutions with standards-aligned lessons designed to spark creativity and critical thinking in students of all ages, learning levels, and abilities. 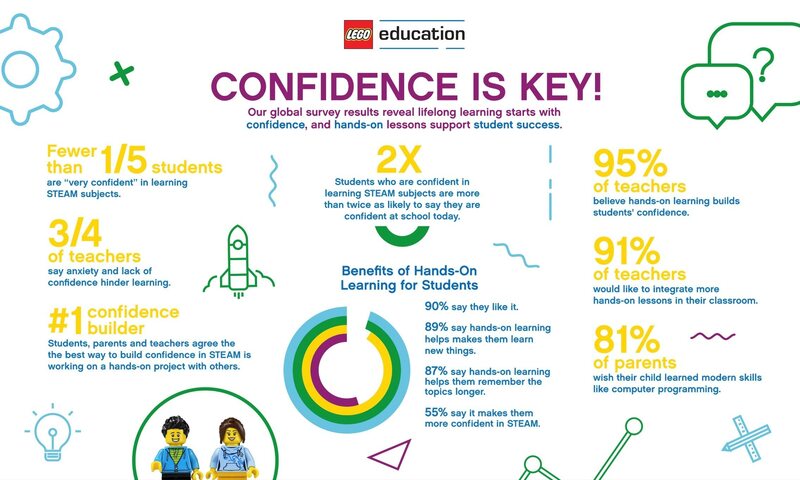 Interested in learning more about LEGO Education Solutions? Not sure where to start? Contact one of our Distribution Partners who will help you find the right solution to fit your needs.